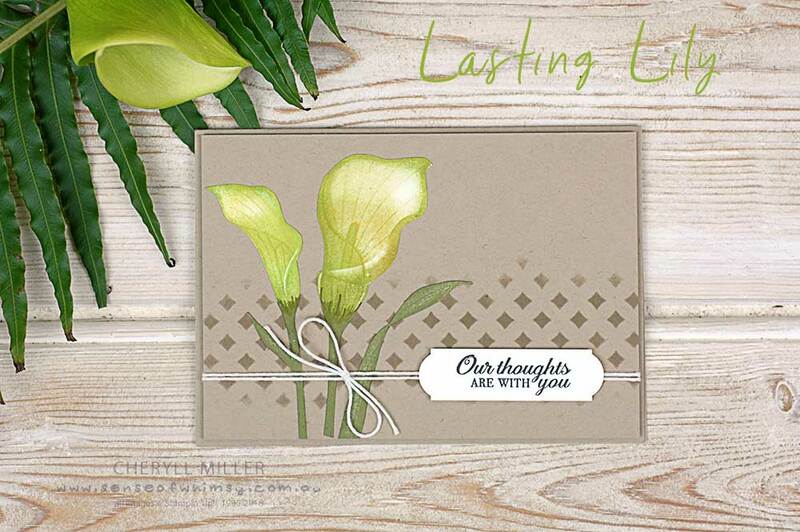 Lasting Lily is a Sale-A-Bration set. Get it for free with a $180 purchase during Sale-A-Bration 2019. Welcome to my blog today … I am again participating in the Global Design Project challenge. This week it is a sketch challenge. Anyone can enter as long as you can upload your project into the gallery. Click on the graphic below and take a look at this week’s gallery for many different takes on the one sketch. My first impressions of the Lasting Lily Sale-A-Bration set …. hmmm …. a two step floral set. I LOVE florals … you may have guessed that! 🙂 But this set didn’t make my fingers itch to get it inky and so it has been sitting on the shelf. I pulled it out this week because someone asked what it was like to stamp with. Oh my!! I created this one specifically to suit the GDP Sketch challenge, with a vertical orientation instead of horizontal. I love having a sketch to follow! It takes one design element out of the mix and lets you concentrate on other aspects of the card, such as colours. For this lily, I used Pumpkin Pie, Melon Mambo and Daffodil Delight. Using the Stamparatus allows colours to be layered and layered, creating real depth and dimension. Use sponge daubers to add colour in specific areas. I think this is my favourite Stamparatus technique. Create dramatic contrast with black sponging through a stencil as a background. Because it is just a strip, it doesn’t overwhelm the focal point. A splatter of Wink of Stella (or watered down shimmer paint) gives a subtle hint of shine. Placing one image behind a panel of vellum makes that large focal lily really pop. A white embossed greeting on black card echos the black ink sponging in the background. With many steps to this card, it is definitely one for the avid crafter. 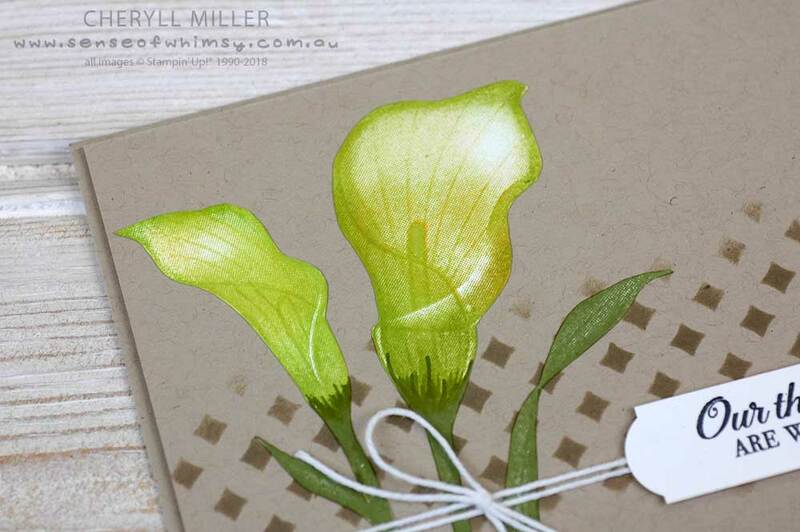 I had such fun …I just wanted to keep stamping lilies in all different colours, so I used it for my VIP group creative live, using elements from my GDP card, but a totally different colourway. I have yellow/lime green lilies in my back yard so used them as inspiration for this colourway. Lemon Lime Twist, Granny Apple Green and Daffodil Delight. The card is much softer generally with Crumb Cake sponging on the Crumb Cake base. With less steps, but still a little technique involved, this card is suitable for the casual crafter. 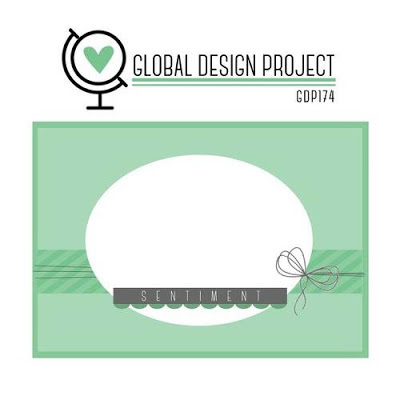 Pop on over to the Global Design Project Gallery to see all the wonderful projects. Lasting Lily … get it for free! 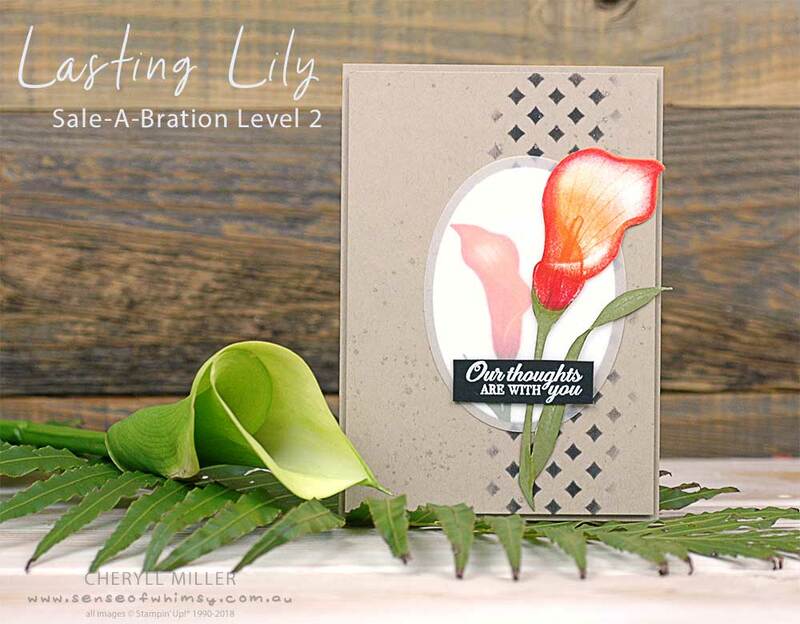 The Lasting Lily set is a level 2 Sale-A-Bration item and you can only get it for free with a $180 order with Stampin’ Up! 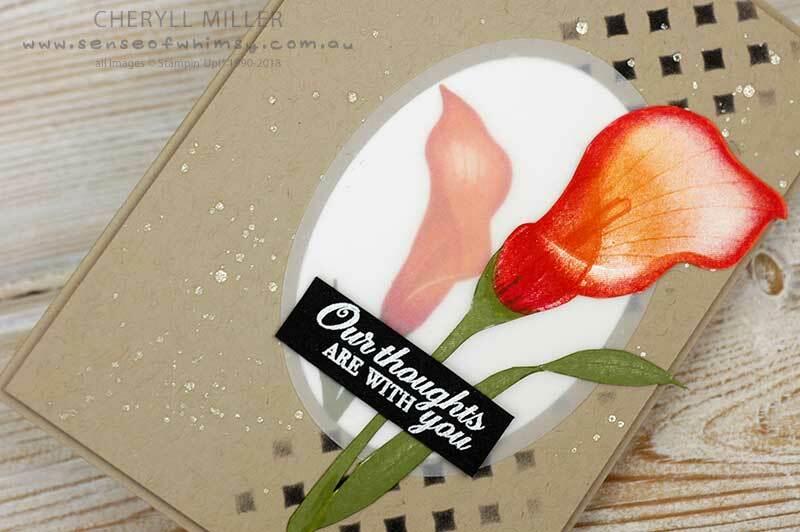 If you are in Australia and would like to purchase any of the products to create these cards, please visit my online shop here. 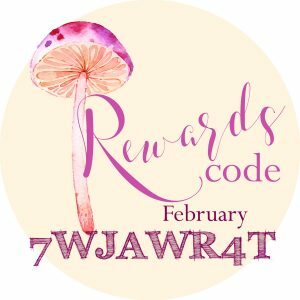 And if you are shopping online, don’t forget to use the current month’s rewards code to receive a small gift and handmade card from me at the end of the month. 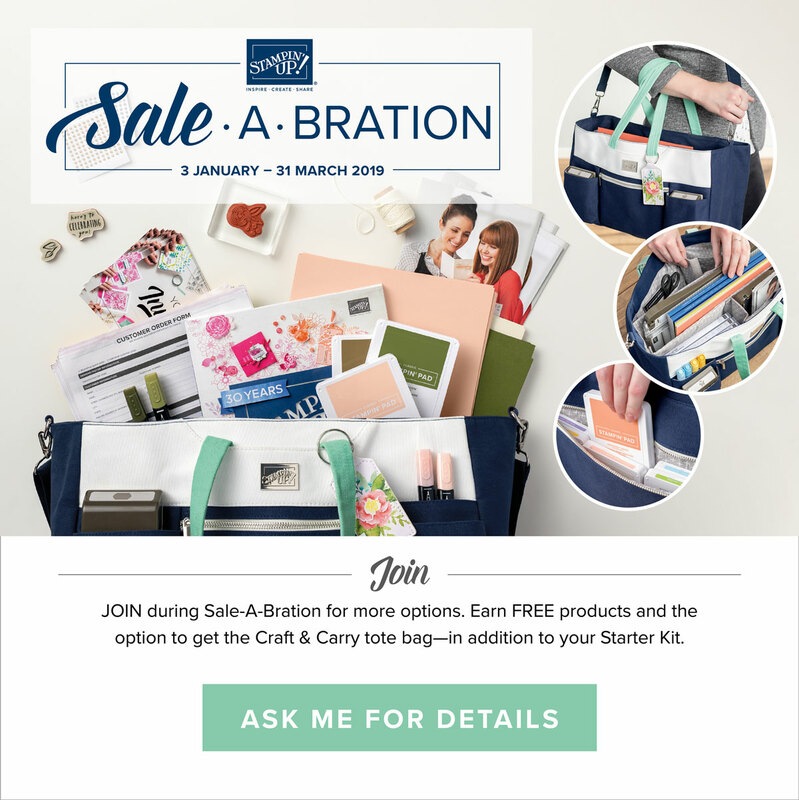 And if your wish list is long, then now is the best time to take advantage of the Sale-A-Bration joining offer from Stampin’ Up! and get your purchases at a discount. 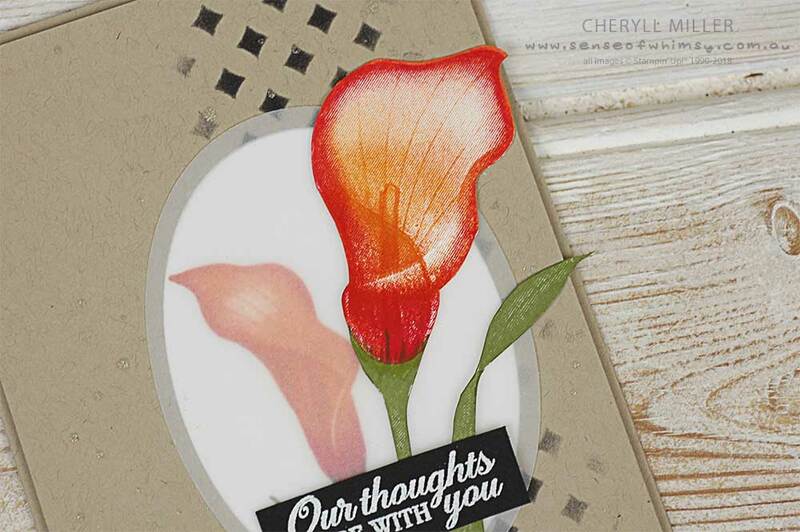 Become a part of the amazing Inks and Whimsy Stampin’ Up! team with monthly challenges, monthly team meetings, free tutorials, and a great supportive community, no matter where you are in Australia. Don’t miss out! Join up now or give me a yell to discuss any time. Phone 0438 464451 or email cheryll@senseofwhimsy.com.au. Both cards are lovely and something I could do following your directions. Thank you!